When World War Two ended in 1945 everyone was very tired and war weary. The last thing on people's minds was aircraft preservation. So it was that we lost many aircraft types to the scrap man. Today we have no Stirling's, Whitley's, Manchester's or Whirlwind's to name but a few. The Wellington was another such aircraft that nearly faded into obscurity. Wellington T.10 MF628, survived the war and went to the Royal Air Force Museum at Hendon. However, this aircraft saw no operational service which left just one that did. Wellington MKIa N2980 ditched, after losing power, into Loch Ness on 31 December 1940 whilst serving with No 20 OTU. The aircraft had taken off from RAF Lossiemouth on Scotland's Moray Firth in the mid afternoon, tasked with a navigation exrecise. Piloting the aircraft on this day was Squadron Leader David Marwood-Elton with co-pilot Plt Officer J.F. Slater in the right hand seat. Six others were also on the aircraft for this exercise and they were, sergeants W.Wright, (Wireless Op/Air Gunner), C.Chandler, E.Ford, R.E.Little, Lucton (Navigators) and Rear Gunner J.S.Fensome. The weather was not at its best as is often the case in Scotland especially in the depths of winter. Due to the mountainous terraine in the area, Marwood-Elton took the Wellington up to 8,000' which was well above the highest peaks. The aircraft was in cloud with snow squalls making conditions difficult and getting worse. It was at this point that the Wellington's starboard Bristol Pegasus XVIII engine decided to give up and stop running. There was little time to think with mountain peaks not far below and height being lost, so Marwood-Elton gave the order to bail out. Six men jumped with the pilot and co-pilot remaining at the controls. After the bail out Marwood-Elton noticed a stretch of intense black through the clouds which denoted water. He decided to ditch the Wellington in what turned out to be Loch Ness. The ditching was successful with Marwood-Elton and Slater climbing out onto the aircraft's wing. The two pilots paddled ashore and R-Robert sank into the depths. Of the six men who baled out, five survived but rear gunner Fensome died having it seemed from opening his parachute too early, which was then damaged by the aircraft's tailplane. As it can be seen learning to become bomber airmen could be a dangerous practice and 12% of Bomber command crews were lost through flying accidents in training. The surviving members of R-Robert's crew went onto to take part in operations with only WOP/AG Wright and Pilot Marwood-Elton confirmed as surviving the war. R-Robert first flew in the hands of Vickers Test Pilot Mutt Summers at Brooklands on 16 November 1939. Summers put the aircraft through its paces before delivery to No 149 Squadron at RAF Mildenhall as part of No 3 Group coded OJ-R. The aircraft has quite an extensive operational history and was in action from the start of the war. RAF bomber operations at this time were confined to attacking German naval assets and Nickel raids (leaflet dropping). Early on there was a directive that civilians should not be harmed by bombing so strictly military targets were attacked. N2980 was lucky to survive these early raids against the German Navy, as there was a false belief that turret armed bombers, flying in tight formations, could defend themselves against modern cannon armed fighters. The Luftwaffe's fighters were equipped with 20mm cannon which outranged the Wellington's .303 Browning machine guns and had far more destructive power. Not only could the German stay out of range of the RAF Gunners but a few hits from 20mm shells was enough to bring down a bomber, although the Wellington's design could take alot of punishment. The belief was shattered on 18 December 1939. Wellingtons set out to attack the German Navy and fared very badly in conditions of good visibility, which made the job of the flak gunners and fighter pilots all the more easy. The Germans were somewhat surprised that the bombers attacked in conditions that were ideal for the defenders. This raid became known as the Battle Of Heligoland Bight. R-Robert took part in this raid in which ten out of the twenty two aircraft were shot down. The raid showed that bombers without fighter cover were vulnerable to enemy fighter attack and signalled an end to unescorted daylight raids. A few years later the USAAF 8th Air Force was to learn the same lesson again in their daylight bombing campaign over Europe. Despite a much superior defensive armament their B-17 Flying Fortress & B-24 Liberator bombers were lost in large numbers to Luftwaffe fighters. It was not until the advent of the long range fighter, the P-51D Mustang which could accompany the bombers all the way to the target, did the tables turn. R-Robert went on to carry out a number of raids in 1940 as part of No 37 Squadron flying from RAF Feltwell, again part of No 3 Group, until transfer to a training role with No 20 OTU RAF Lossiemouth in October. By the time the Wellington ditched in Loch Ness the aircraft had amassed just over 330 flying hours. Considering the high loss rate of bombers at this time, 330 hours was quite an achievement. The discovery of R-Robert was a byproduct of a search for the mythical Loch Ness monster. In 1976 an American named Marty Klein was attempting to find "Nessie" when his sonar equipment picked up what he considered to be the remains of a Consolidated Catalina PBY flying boat. In Edinburgh the Heriot Watt University was developing remotely operated vehicles (ROV) to support the oil industry located off shore of the Scottish Coast. It was decided in 1978 that the "Catalina" would be a good trial to prove the submersible and the images brought back showed not a Catalina but a Wellington. In 1979 a Royal Navy diving team investigated the submerged remains and identified them as that of N2980. 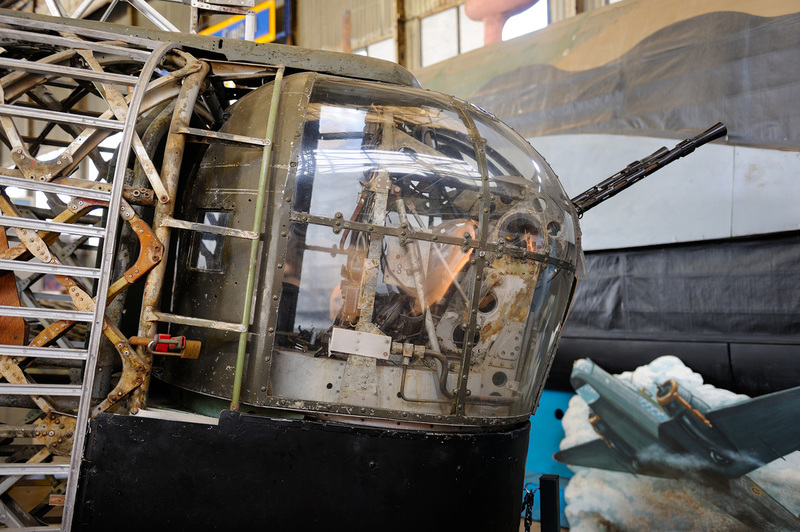 Plans were put in place to raise the Wellington as over time the condition of the airframe had deteriorated, through the attentions of local trawler nets and divers who were taking items as souvenirs. In 1984 Heriot Watt's Robin Holmes, decided that an attempt should be set up to salvage the Wellington and he set up a charity to achieve this, named the Loch Ness Wellington Association. As with any such project a good deal of cost is involved so the charity sought sponsors to raise the necessary funds. R-Robert rose from the depths on 21 September 1985 and with the help from British Aerospace engineers, N2980 was back at her birthplace Brooklands, six days later. 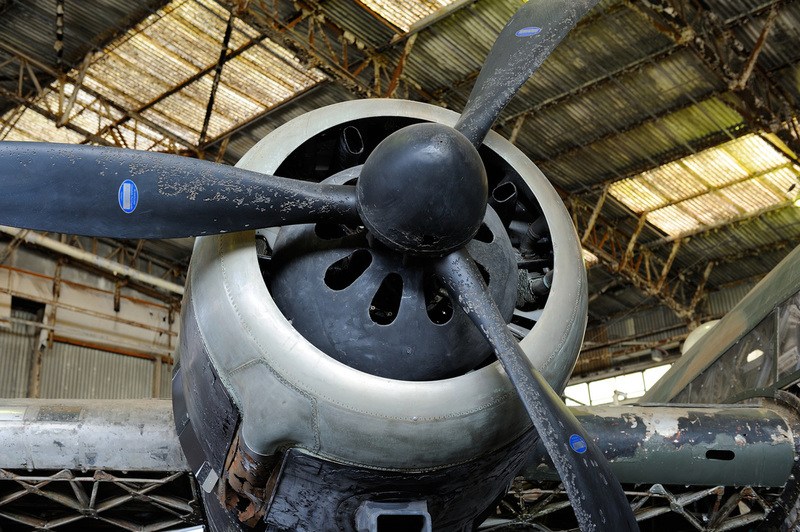 The Brooklands Museum then began restoration of the aircraft to the condition that she was in on New Year's Eve 1940. The decision was taken to only partially recover the aircraft so that Barnes Wallace's geodetic designed airframe construction could be seen to full effect. The world of aviation preservation owes thanks to S/Ldr Marwood - Elton for carrying out such a skillful ditching. 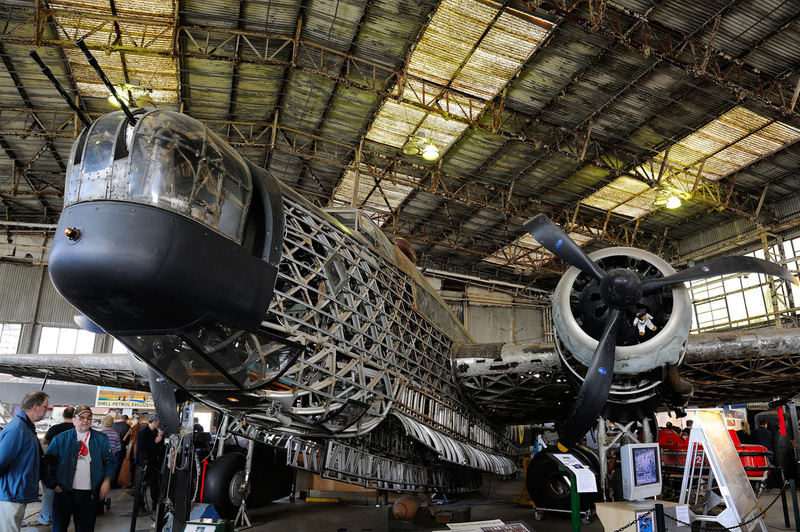 This allowed the aircraft to be recovered, restored and put on display. Without his skill there would be no operational Wellingtons in preservation.